In April of this year, 25-year-old Aaron Hernandez, former tight end for the New England Patriots, was found guilty of first-degree murder in the June 2013 shooting of Odin Lloyd in a deserted industrial park. Lloyd was allegedly dating the sister of Hernandez’s fiancée, according to a news article at NBC. Hernandez was sentenced to life in prison without parole in the shooting death. When he was arrested, Hernandez had been awarded a $40 million contract with the New England Patriots, who went on to win the Super Bowl while he was on trial for the murder. Throughout the trial, legal experts claimed the evidence against Hernandez was circumstantial; they also said there was no clear motive for the shooting given to the jury. Prosecutors revealed a surveillance video taken at the defendant’s home shortly before the shooting in which Hernandez was holding what appeared to be a gun. In addition, a marijuana joint was found near the victim’s body that had both his own and Hernandez’s DNA on it. While the gun used in the murder was not recovered, Shaynna Jenkins, Hernandez’s fiancée, did testify that he asked her to remove a large box located in the basement of their home. Jenkins testified that she never looked to see what was inside the box, and that she put it in a Dumpster. Defense attorneys did not argue that Hernandez was present when Lloyd was shot, but said two others who were present at the time committed the crime. Defense attorney James Sultan said that Hernandez was simply a 23-year-old kid at the time who didn’t know what to do upon witnessing a shocking killing. Hernandez appealed his conviction, requesting the judge either throw out the conviction or reduce the charge to second-degree murder. Superior Court Judge Susan Garsh is a Massachusetts judge who oversaw the murder trial; she denied a motion for a required finding of not guilty in the case, a motion which is a required procedural step prior to appealing. The judge said in the decision that the case was proven beyond a reasonable doubt by prosecutors. Hernandez’s attorneys have filed a separate request regarding a juror who may not have been truthful during jury selection, the request based on an anonymous tip they received. While legal experts seems to be of the opinion that evidence was lacking during the trial, the judge apparently did not feel the same way. Michigan appellate attorneys know that successfully appealing a murder conviction is extremely difficult. Having a conviction for any crime overturned by an appeals court is rare, but it does happen based on procedural errors, violations of the defendant’s legal rights, and other grounds. 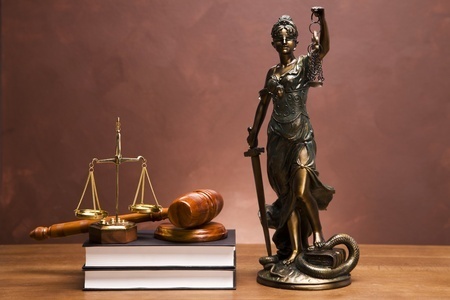 If you feel you have been wrongly convicted or are considering appealing the sentence given to you, be sure to choose a Michigan criminal appeals lawyer who is skilled and capable in the appeals process. The quality of attorney you choose can mean the difference between success and failure.